You work with organizations and leaders across the nonprofit sector. What skills do you predict will be most in demand for Chief Development Officers in 2018? Kris McFeely: CDO candidates always need to demonstrate proven success in the realms of staff management and development. They need major gift experience, and we’re seeing campaign experience become even more critical. As organizations move from one campaign right into the next, that expertise will be a must-have skill for CDOs. Dan Nevez: In addition, core skillsets like planned giving are sometimes missing in organizations, so CDOs need to be able to fill that gap if necessary. While you want an exceptional frontline fundraiser, nonprofits can’t ignore the management side. Often, candidates with stellar major gifts and campaign experience haven’t managed a team for performance—so that aspect remains important in 2018. What about Chief Executive Officers? What will candidates need to demonstrate? Dan: CEOs need a strong combination of competencies. They need to be great strategic planners, fundraisers, administrators, and financial managers. Among these areas, the finance piece, specifically growing revenues, has become even more essential post-recession. The CEO’s external relations role is also growing in importance. More and more, nonprofits are looking to build strategic partnerships and alliances. Kris: Along the same lines, many organizations have a national presence. Candidates will need to demonstrate their ability to engage with people across the country—and, in some cases, across the globe. With technology, that kind of broad reach is becoming the norm. Emotional intelligence is another crucial skill for today’s CEO. 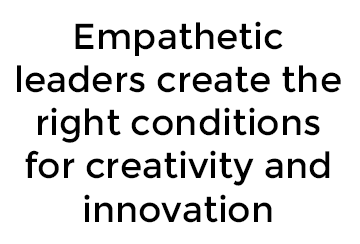 Empathetic leaders create the right conditions for creativity and innovation. Organizations continue to grapple with how to make their staff and board more representative of their communities. What are you observing in this area? Kris: This is such a tough problem to solve, but I’m encouraged by the fact that our sector is increasingly aware of diversity and inclusion issues—the gap between where we are and where we want to be. Open conversations are the first step. Dedicating resources, seeking broad-based input, and creating a plan are all part of the equation, too. 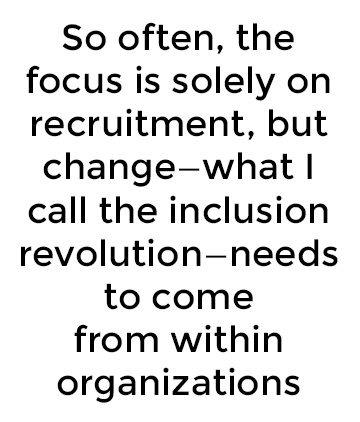 Dan: So often, the focus is solely on recruitment, but change—what I call the inclusion revolution—needs to come from within organizations. That open, trusting dialogue that Kris referenced is so important, as is alignment between the staff and board. The board also plays a key role in setting and ensuring inclusive policies. Kris: Organizations really need to look at their community, define what diversity means for them, and then work from there. Transitioning from the corporate world to the nonprofit sector has become a common occurrence. Do you predict this trend will continue? Kris: At the senior level, I do expect it to continue. Many senior leaders pushed back retirement during the Great Recession, so we’re expecting a wave of c-suite retirements in the coming years. Nontraditional corporate talent could help replace these departing leaders. Going back to the question of diversity, recruiting from the corporate world is another way to bring in leaders from different communities. Dan: The disparity in compensation between the for-profit and nonprofit sectors is a major barrier to this trend, but there are leaders willing to transition. Typically, they’ve already achieved financial success, and now they’re focused on their legacy—how they can make a difference in the world. You work with a wide range of sectors. What sector-specific hiring trends have the potential to carry over into 2018? Dan: Especially in cities, we are going to see the large higher education institutions and healthcare systems monopolizing their regions' top development talent. 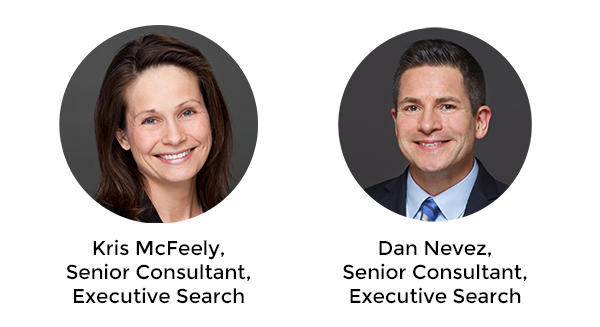 This will put many nonprofits in a precarious position as they search for strong fundraisers. I’m already noticing this trend in Los Angeles, San Francisco, and Seattle. In the healthcare sector specifically, uncertainty over the Affordable Care Act will likely create a higher demand for philanthropy. At the same time, fundraising for healthcare is becoming more and more complex as health systems continue to merge or acquire smaller hospitals. This can create a restrictive environment that’s not ideal for all development professionals. Kris: For environmental and conservation organizations, finding leaders that can bridge the urban-rural divide and engage with a wide variety of constituents is increasingly important. They need to be just as comfortable at a black tie event in New York or LA as they are hiking in the Pacific Northwest—and everywhere in between. The political climate is also affecting how nonprofits in the environmental sector choose their leaders. Politics is coming into play so often in our recent searches. Organizations need to find the right fit for their values and community. In five words or less, what is your overall hiring outlook for 2018? Kris: Incremental change; growth and possibility.